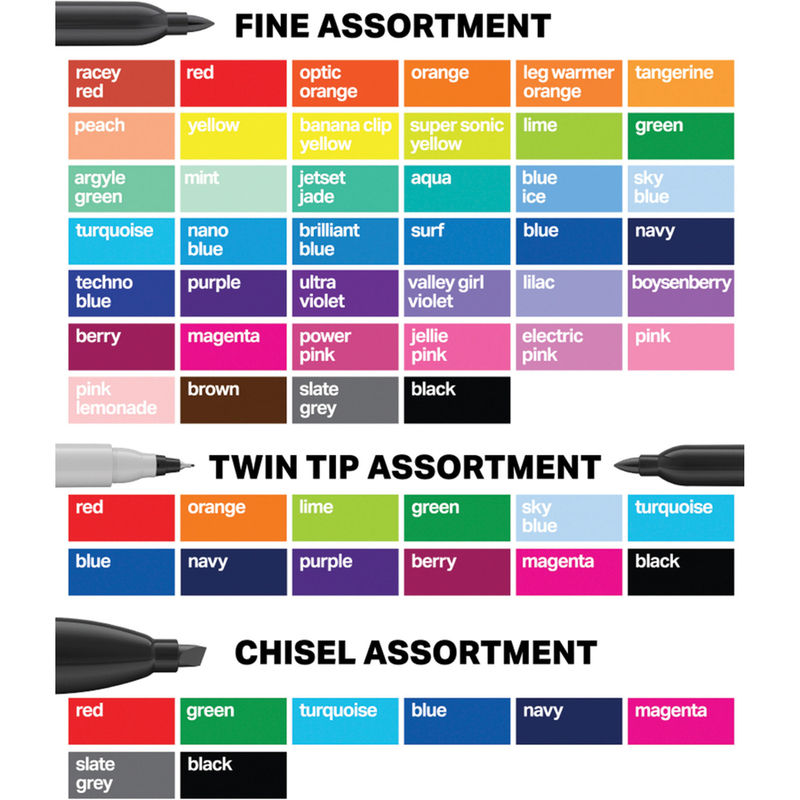 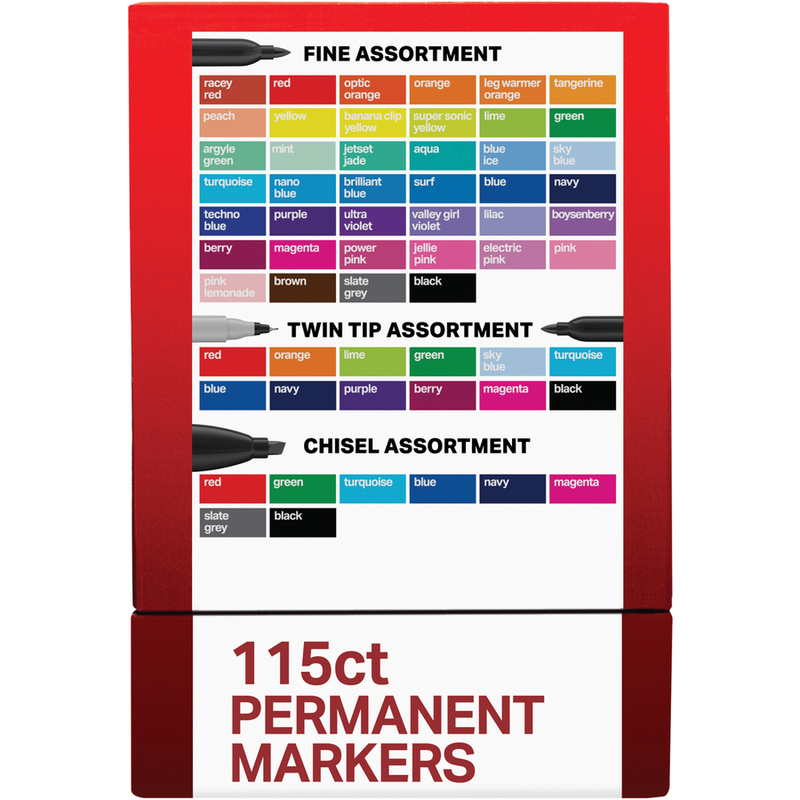 Featuring the complete Sharpie color assortment in a collectible storage case, this set of permanent markers in various tip sizes transforms ordinary with a large variety of eye-catching colors. 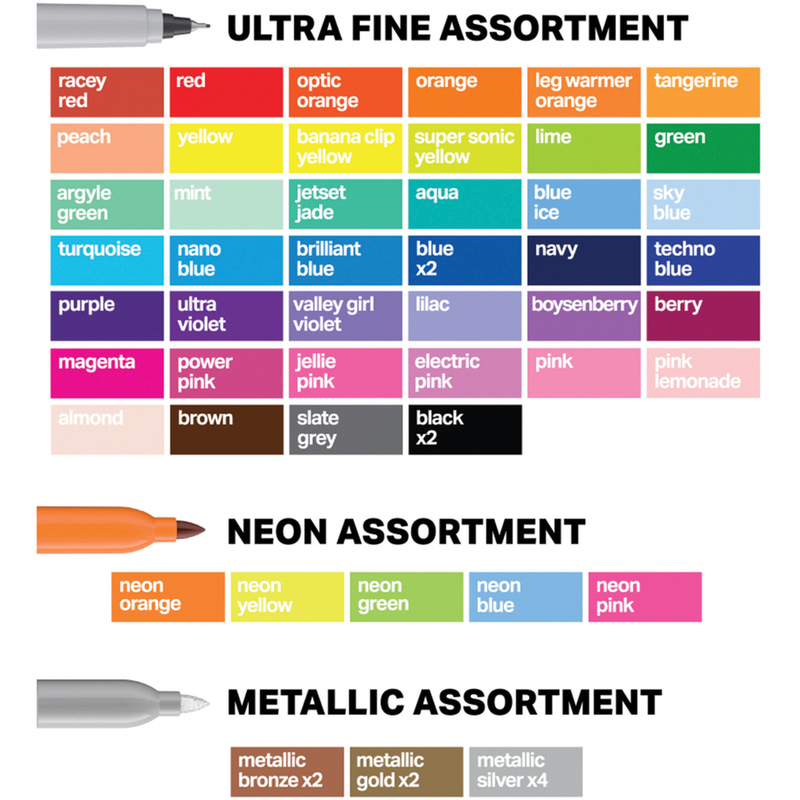 Permanent ink stays bright and vivid on surfaces for results that are designed to last. 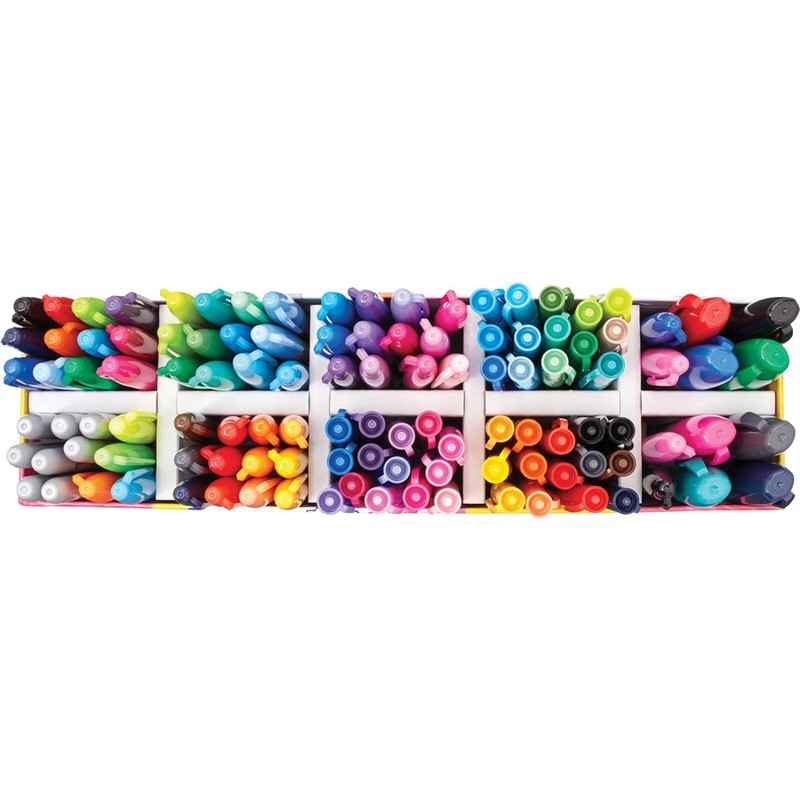 Water-resistant, fade-resistant formula is remarkably resilient and quick drying to prevent smearing or smudging. 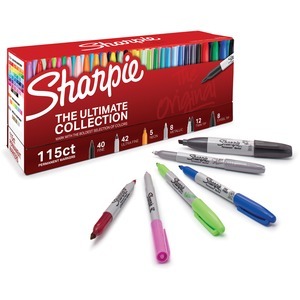 Permanent markers are perfect for writing on paper, plastic, wood, leather and more.